Not offered in Fall 2016. To be offered as required. Coulomb's law; electrostatic field and potential; Gauss' law; conductors; magnetostatics; Ampere's law; Biot - Savart law; dielectric and magnetic materials, electrostatic and magnetostatic energy; Lorentz force; time varying fields; Faraday's law; Maxwell's equations. Prerequisites: Physics 1051 and Mathematics 3260. Math 3260 may be taken concurrently. Lectures: Three hours per week. Not offered in 2016/17. To be offered as required. Maxwell's equations, energy and momentum in electromagnetic systems, EM waves, potentials and fields, dynamical systems of charges, radiation, the interaction of EM fields with matter, and the relativistic formulation of electromagnetism and its applications. 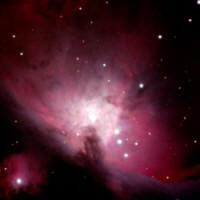 More information on these and other Astronomy courses offered at Grenfell. 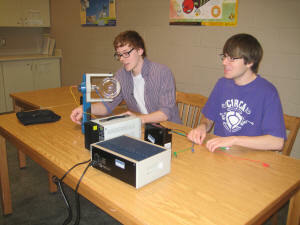 Physics 3180 is an upper year physics/astronomy course . Some projects will be done with the	Grenfell Observatory telescope and its instruments, and will require students' participation at nighttime observing sessions. Kinematics and dynamics of a particle. Moving reference systems. Celestial mechanics. Systems of particles. Applied Mathematics 3260 and Physics 1051 (or 1054). AM 3260 may be taken concurrently. To be offered in Winter Term 2017. Includes the Standard Model, classification of elementary particles and forces of nature, symmetries, conservation laws, quark model, quantum electrodynamics, quantum chromodynamics, and the theory of weak interactions. Prerequisites: Physics 2056, 2400, Mathematics 3202 and 3260. Covers the first and second laws of thermodynamics. Entropy. Thermodynamics of real substances. Kinetic theory of matter. Introduction to statistical mechanics. Prerequisites: Physics 2053, 2056, Mathematics 2000. To be offered as required. Includes a review of elementary quantum physics and covers such topics as wave functions, operators, expectation values, the Schodinger equation in 1-dimension, states and operators in Hilbert space, coordinate and momentum representations, quantum mechanics in three dimensions, angular momentum, spherically symmetric potentials, and approximation methods. Prerequisites: Physics 2056, 3220 and Mathematics 3202. Examines the functions of a a complex variable; residue calculus. Introduction to Cartesian tensor analysis. Matrix eigenvalues and eigenvectors. Diagonalization of tensors. Matrix formulation of quantum mechanics. Quantum mechanical spin. Vector differential operators in curvilinear coordinate systems. Partial differential equations of Mathematical Physics and boundary value problems; derivation of the classical equations, separation of variables; Helmholtz equation in spherical polar coordinates. Prerequisites: Applied Mathematics/Pure Mathematics 3260, and Physics 3810 (or Applied Mathematics/Pure Mathematics 3202).